Raise your hand if you like quick, easy solutions! Yes, I thought so. My hand is up, too! But, how about quick, easy, and effective solutions? Even better! This healthy dinner strategy hits all those requirements for you with a quick and healthy vegetarian sauce that will make five different 20-minute dinners that are tasty and full of goodness. If you have a busy week coming up but still have mouths to feed, including your own, and don’t want to succumb to take-out, let me help. Come see how simple it is, but first, a bit on why this sauce is so special! 1. That rich, red color means business. 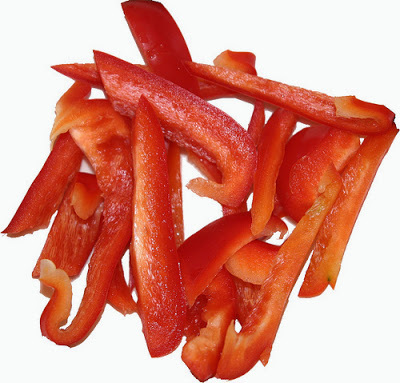 As shown by their bright red color, red peppers are rich in the pigment beta-carotene, which is converted by your body to retinol, a form of vitamin A. Vitamin A is necessary for eye health and maintaining healthy skin, your immune system and many other bodily functions. 2. Better to choose red over green. Although all bell peppers are good sources of vitamins A and C, red bell peppers contain larger amounts of these vitamins than bell peppers of other colors. 3. Everything gets better with age, doesn’t it? Red bell peppers are actually green peppers that have been given more time to ripen on the vine in the sun producing a sweeter flavor along with that rich color and the amazing host of nutrients. 4. Red peppers help decrease the damage we cause. Due to their high concentration of vitamins A and C, roasted red peppers are a rich source of antioxidants that prevent damage by free radicals. Vitamin C is a faithful immune system supporter and both vitamins A and C together help the body repair itself after it has been injured or stressed. And, look around, a lot of us are stressed! 5. Red bell peppers contain phytochemicals that are hard to pronounce but help us so much! Lutein and zeaxanthin are two carotenoids found in the lens and retina of the eye. Consuming foods that contain lutein and zeaxanthin, like red peppers, may slow the development of macular degeneration and cataracts. 6. Choose organic, when possible. Bell peppers of all colors are heavily sprayed with pesticides – in fact, they usually are on the top of the dirty dozen list of fruits and vegetables sprayed the highest. Pick organic, if you can. 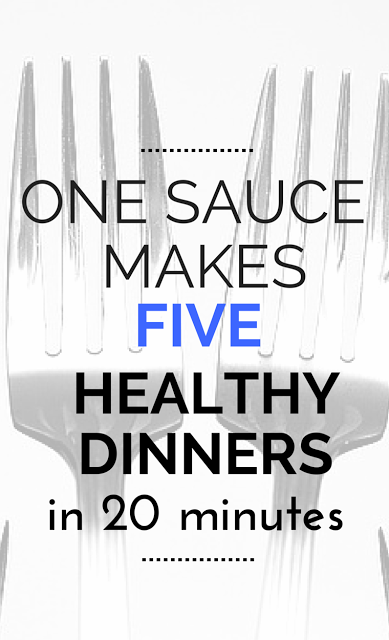 These fast, healthy dinners start with this quick sauce. If you use the jarred peppers (and some brands are very good), it comes together in 15 minutes and makes about 8 cups of sauce. It freezes well, too. Although it can be used right away, as most sauces, it is better the next day so perhaps make this over the weekend to use all week. Please don’t miss the post links below (sentences in bold) explaining the distinction of a few select ingredients and why they can make a difference for your family’s health. If you are interested, I also link to actual products below that I use and find to be of excellent value as well as a much healthier choice. 1 cup vegetable or chicken broth (2 cups if not using wine) You may need more of this. Saute the onion and garlic in a few teaspoons of water and keep stirring until soft. Add tomato paste, salt and miso and stir for a few seconds to incorporate. Add paprika and cayenne and stir for another few seconds to incorporate. Add wine, broth and peppers. Stir well. Heat together for 8-10 minutes. With an immersion blender, blend until smooth leaving bits of chunks of red pepper. Add more broth by a teaspoon at a time if necessary to thin the sauce, but leave a thicker consistency. You can always add liquid later. Refrigerate for later use as flavors meld and taste even better a little later or overnight, but you can use immediately if you must. Don’t miss this: Why Himalayan pink salt, that I linked to above, is so superior for your health over white table salt and why you should make the simple switch today. Don’t miss this: Why Ceylon Cinnamon, that I linked to above, is a better choice for your health over regular cinnamon – that may not even be cinnamon at all! And, why raw honey, that I linked to above, tastes so superior (you won’t believe it!) and does so much for your health. 1. Toss the sauce with some pasta of choice. Stir in 1/2 cup of Parmesan cheese to about four cups of sauce. Warm on the stove and serve with gluten-free, whole wheat, or whatever pasta you like. Add lots of freshly sliced basil, perhaps a few chopped olives and more Parmesan. 2. Make a Mexican lentil soup. To 4 cups of chicken or vegetable broth, add 1 cup of roasted red pepper sauce. Add 1 cup of cooked beans or lentils, a few chopped tomatoes, 1/2 cup of corn, a teaspoon of cumin, 1/2 teaspoon of oregano, a chopped chipotle pepper, some pink salt and a few handfuls of spinach. Heat gently. 3. Create pink vegetarian fried rice. Cut up four cups of seasonal vegetables of choice in small pieces. In wok or pan, heat 1 teaspoon avocado oil, (a high smoke point oil) and saute 2 scrambled eggs. Remove from pan. Saute vegetables until crisp-tender and remove from pan. Saute 4 cups cooked rice stir frying consistently. Make a well in the center of the pan and add a few tablespoons of red pepper sauce to center of the pan. Add 4 teaspoons soy sauce, a sprinkling of rice vinegar, 1 teaspoon toasted sesame oil to the well. Stir. Toss well with the rice. Add back vegetables and egg to the pan and toss again. Sprinkle with lots of chopped green onion and a few black sesame seeds. Don’t miss this: Tap here to find your best egg choice for superior nutrition. 4. Fire up the grill. Marinate two pounds of your favorite fish with the juice and zest of one large or two small limes, pink salt and pepper, 1 tablespoon of olive oil and 1/2 cup of some minced fresh herbs for 10 minutes. Warm 1 cup of red pepper sauce. Grill fish and drizzle red pepper sauce over fish. Garnish with herbs of choice. 5. Fill up the center. Slice 8 small zucchini in half and scrape out the center seeds. Place a few teaspoons of rice or quinoa combined with finely chopped greens like kale or spinach in the center. Season well with pink salt and pepper. Drizzle a few teaspoons of red pepper sauce over each and top with feta cheese. Need more healthy entrees? You can’t miss with this whole mess of easy dinner ideas. How about some great salads to accompany those dinners? Follow my salad ideas here and get inspired! Look here for vegetable recipe ideas that your whole family can pile on their plates. Do you have an easy way to get several healthy dinners prepped for a really busy week ahead? I’d love to hear your ideas for my next crazy week! Featured on Jill Conyers blog hop. We just started using red peppers again and I'm really excited. I try to have a lot of fresh veggies and hummus handy for when we get hungry at different points of the day. So smart to have those fresh veg ready rather than reaching for the processed stuff! Red peppers and all the other beautiful colors they come in are a delight! With our busy, hectic lives, these tips for creating delicious healthy dinners are quite welcome and so easy to implement. I like to make a batch of basics each Monday: brown rice, quinoa, beans and a vegetable bean soup. I can easily assemble a meal in minutes with fresh steamed greens and veggies and a tossed salad. 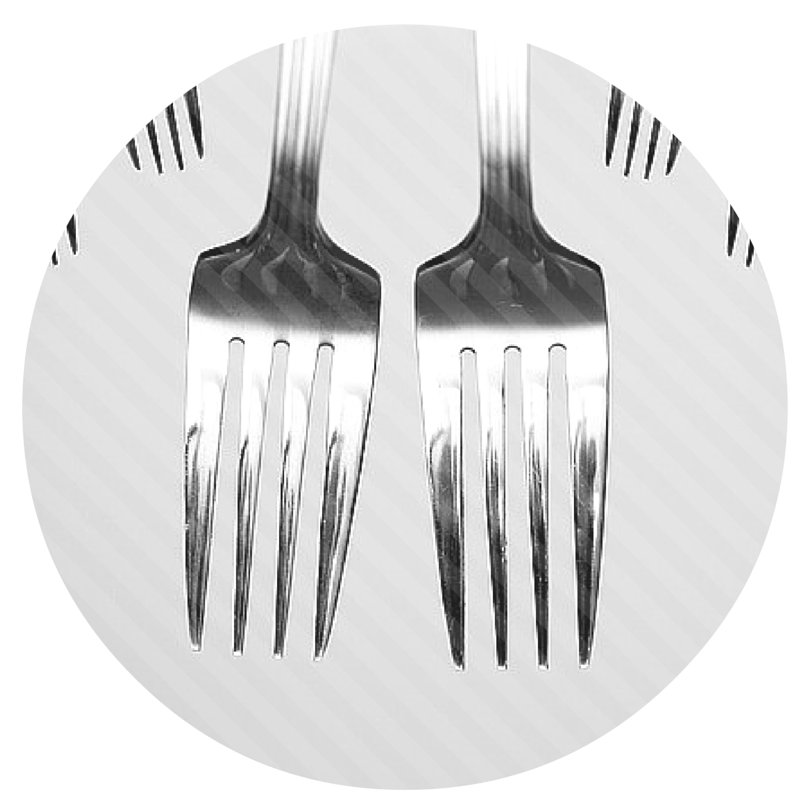 Thank you for sharing these wonderful dinner ideas at the Healthy Happy Green Natural Party! I'm Pinning and sharing this! That is a useful strategy, too, Deborah. Batch cooking that can be made into various dishes. Thanks for helping with ideas, here! This is exactly the way I like to cook! I am the only vegetarian in our house so I like to make a few things and reuse them. Good tips! It does help, doesn't it? I have various restrictive diets at my house, too, and one big sauce used various ways can really help with the workload and keep everyone happy! I always thought green was better! Thank you for bringing your post to Blogger's Pit Stop. Green do taste great but the red are more nutrient dense. Thanks for adding in! Oh yes, It would be good over rice! Another great idea, Launna! Thanks for always adding in! Hope they can help others get through a crazy week and still serve healthy dinners! So much great info. I use a lot of red peppers for sauces, soups and dips. Thanks for sharing with Fitness Health & Happiness. Have a great weekend! Healthy choice, Jill, using those peppers for so many things. At our house, too! The same to you – a beautiful, healthy weekend! Absolutely! And, make for a lovely presentation and sooo good for us! Thanks for sharing your thoughts!